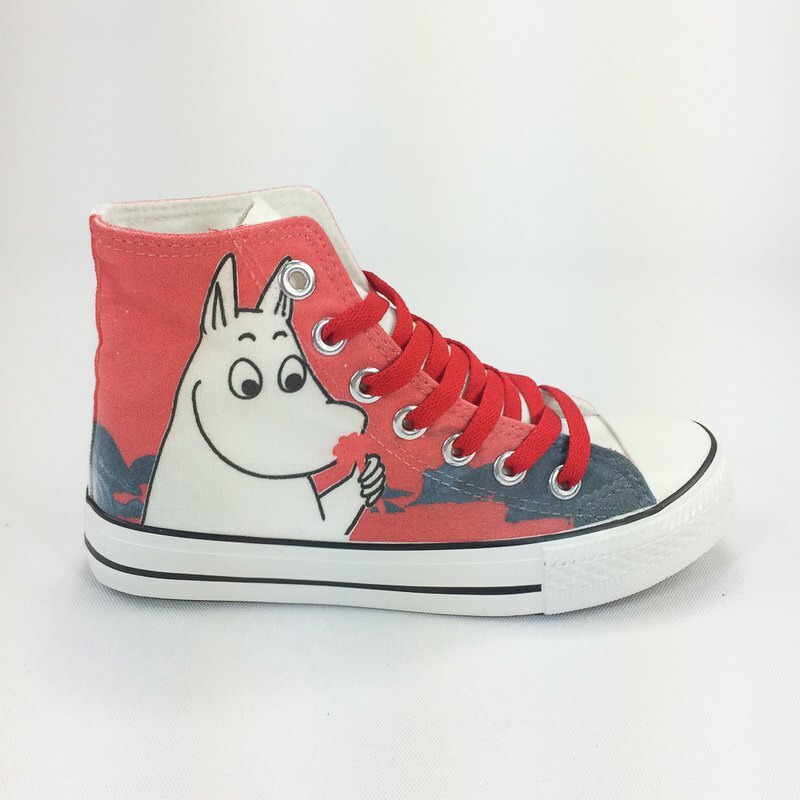 Moomin is a collection of fairy tales written by Finnish author Tove Jansson. Moomin family has a rounded body, like a hippopotamus, but they are a group of strange Elves, living in the Finnish forests in the Moomin Valley. YOSHI850 exclusive launch of Moomin 3C periphery, bag storage, home goods, etc., followed the Moomin adventure. 【Material】 Upper material: canvas Sole Material: Rubber Tube height: 11cm End of the high: 2.5cm 【Size Chart】 https://farm5.staticflickr.com/4714/40098747892_b7b6a962a8_o.jpg Note: This section version is too small, size, please choose a larger size, such as feet 23cm, usually wear 36, this section is recommended to wear No. 37. 【Product Notes】 Photos will be taken because of light shooting angle and each screen brand is not set, the products are based on real products, if any inconvenience please forgive me! [Sent to mainland China matters needing attention] Due to SF Express shipping requirements, be sure to note the recipient's "company name" at checkout, otherwise we will not be able to send it. If you can not provide the "company name", we recommend the Pinkoi International Transfer Service.